In the spirit of Christmas, staff, clients and locals of the Rye community, have come together to donate gifts for children who wouldn’t have been visited by Santa this year. Many thanks to all who donated gifts under the Ray White Rye, Christmas Tree for ‘A Little Ray of Giving’. 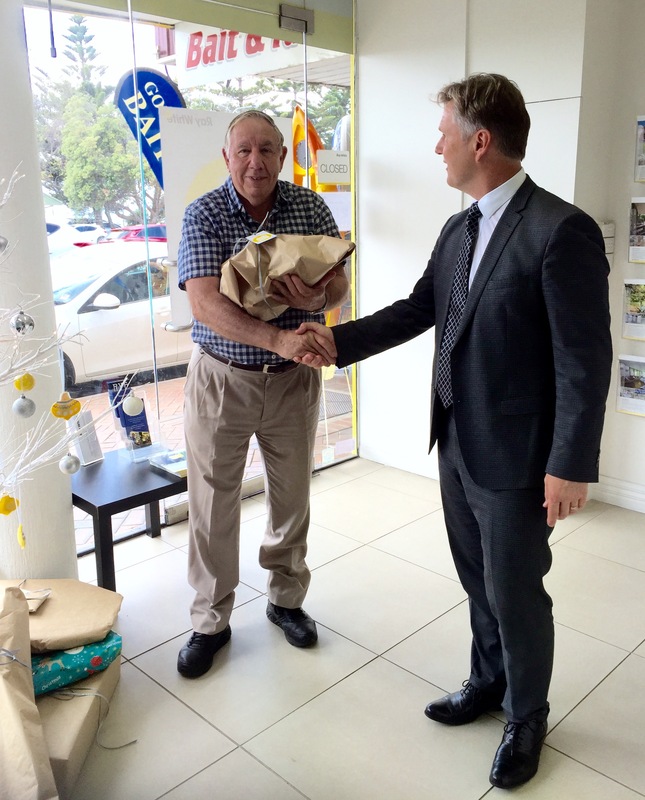 Guy Hoevenaars presented Ken Northwood (pictured) of Southern Peninsula ‘Food for All’ in conjunction with St. Vincent De Paul’s, 30 gifts from under the Ray White Rye Christmas tree. These 30 gifts will now be delivered to the children by the St. Vinnies Santa, brightening up their Christmas Day. If you missed out on delivering a gift this Christmas, you can donate to Southern Peninsula ‘Food for All’ or Vinnies (St Vincent De Pauls) in Rosebud.